Recording memories of your special day with beautiful wedding photography is our passion. Our images are natural and elegant, capturing your day as it happens of unforgettable moments, emotional embraces, and laughter. We are a husband and wife team with over 10 years experience, therefore your wedding photography is in safe hands. We pride ourselves on our relaxed and friendly approach, putting you and your guests at ease. Based just outside Tamworth, we are in an ideal location to cover venues in Sutton Coldfield, Staffordshire, Warwickshire, Birmingham, and all surrounding areas of the Midlands. Before the big day, we arrange to meet with our couples at their wedding venue to walk through the grounds and create a personal shot list. We have worked at many of the Midlands leading venues over the years. 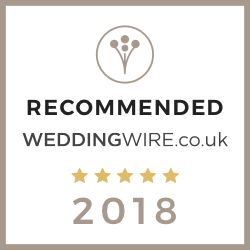 Please take a look at our gallery below of weddings we have had the pleasure to cover, and also visit our blog page for our couple’s experiences. Scroll down to see some of our collections, to suit all budgets. Subject to availability and season, we can offer two hours photographic coverage of your ceremony. Ideal for registry office ceremonies and civil ceremonies. Coverage includes arrivals, ceremony and signing of the register, family and group shots, and Bride and Groom portraits. Images supplied on USB. These are some example collections as guidance, as we tailor all of our quotes to meet your individual and specific requirements. Available optional add-ons to your package include parent albums, single image frames, multi-image frames, canvas wraps and prints. Discounts are applied to mid-week weddings, Monday – Thursday (excluding Bank Holidays and Ceremony Only package). “Vicky was our photographer for the day and from the moment we had our initial consultation, she filled me with confidence and provided a wealth of knowledge and expertise. 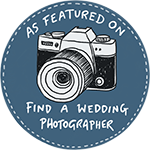 Vicky helped guide us to create a photo list that meant we would have all the traditional style photos my husband wanted and a personalised couples photoshoot that I wanted. She captured everything we wanted and more.